The growth of ubiquitous networks moves ever more personal data into collectible and computational opportunities. This changes assumptions based on past latency and limits on data analysis and brings challenges to the reliability of data acquisition principles and practices and their proper use in societies. System engineers must consider outcomes and related regulation in the design and use of these systems. It also cautions us as to overreaching. We examine the general legal sphere within which ubiquitous networks and associated data exist, mapping some technological outcomes to legal consequences. 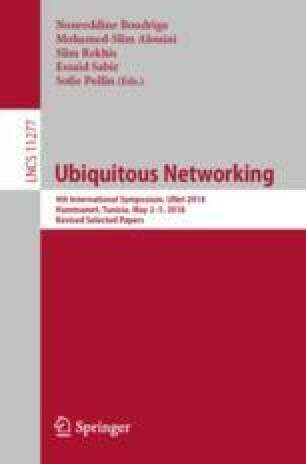 We consider the impact and legal decisions regarding ubiquitous networks in the United States as an indicator of future direction and legal entanglements of these technological systems. In particular, we consider security and privacy principles that may regulate computational use through ubiquitous networks, and the competing interests/benefits/detriments in their use. This informs as to possible future regulation that may be needed or required and offer guidance with the growing data sphere and ubiquitous networking, and advises that the engineering of such systems should be flexible enough to accommodate new regulatory regimes as to deployment, access and use. The authors thank the National Institute of Justice (US) and the International Association for Crime Analysts for the opportunity to develop these ideas.